Apple plans to make it easier foe developers to create apps that, for the first time, can be used across all the company's mobile and desktop platforms, according to a new Bloomberg news report. At its upcoming World Wide Developers Conference (WWDC) in June, Apple is expected to begin those app integration efforts with the release of software development kits that allow developers to write iPad apps that also work on Macs. In 2020, Apple plans to expand the SDK so iPhone applications can be converted into Mac apps in the same way, according to Bloomberg. The report didn't add much detail to what was already known about Apple's Project Marzipan, as the initiative is called internally. Marzipan was initially talked up at last year's WWDC. 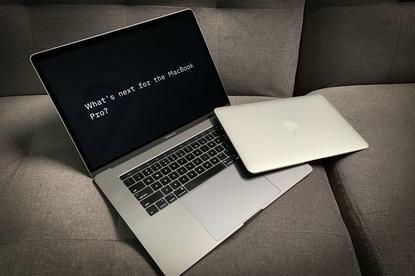 Project Marzipan relies on the fact that that both iOS (for iPhones and iPads) and macOS (for Macbook laptops, the iMac and other desktop Macs) run on the same Unix code base. They also share the same kernel and many common frameworks, such as Metal. The effort to help developers create a single instance of an app that can then work on an iPhone, iPad and Mac computers could result in increased revenue for Apple and renewed interest in Mac desktops and laptops. Unlike Apple apps, Microsoft and Android apps can already be shared across mobile and desktop platforms, allowing developers to write one code base. Developers are more hesitant to create apps if they require two separate efforts for two platforms, particularly as it relates to a small percentage of PC platforms; macOS accounts for around 5% of the PC market, according to Jack Gold, principal analyst with research firm J.Gold Associates. So if developers can build one iOS app and port it to the Mac with minimal effort (drivers not withstanding), it should increase the number and variety of apps available for the Mac. "First, Apple has a huge number of users on iPhones with apps that are not available on its Macs. That's an issue for the Mac loyalists," Gold said via email. "But it's also an issue for Apple, as it's getting harder for them to tell people Apple is one environment when apps won't run cross platform. "So, part of this is getting people more interested in Macs, as they'll be able to get the same apps to run (at least in theory)," he said. This past year, Apple was among the hardest hit by declining smartphone sales, suffering an 11.5% drop in the fourth quarter despite releasing three new iPhone models last fall. For the full year, iPhone sales were down 3.2%, which makes sense considering its two largest markets – the U.S. and China – saw the worst year for smartphone sales ever, IDC said. Enabling apps sold through its App Store to be used across platforms is a way for Apple to increase revenue since the company gets a cut from every download. "So, any additional apps they can provide to Macs not only makes Macs more attractive (and gets more sold), but also adds to their store revenues as well, which is a very large part of Apple revenues," Gold said. Rob Enderle, principal analyst of the Enderle Group, said converging apps across platforms should make Apple hardware easier to manage because the same apps will run on all of Apple’s devices (with some limitations, such as screen size, for instance). Decreasing the number of apps needed to run on separate platforms and shifting to favor iOS, which is where most of the hardware volume is anyway, should over time reduce management overhead for Apple – and save it money. "I think this is more a play to reduce Apple costs," Enderle said via email. "Apple is focused aggressively on cost reduction, but since it doesn’t pass this savings on to customers that has limited value to anyone but an investor or Apple executive." Even if project Marzipan is successful at boosting Mac sales, it won't likely have an immediate impact on enterprise users, Gold added, since iPhone users in the workplace still generally have a Windows PC and not Macs. "I don't see this changing things, as there are many enterprise apps that don't run on a Mac and probably never will (even if they do have a iPhone versions, it usually is a subset of the app and not a complete app)," Gold said. "And this initiative will do nothing to help IT manage Macs in the corporate setting. So the enterprise effects of this are probably minimal at best." Enderle agreed, saying even if Apple unveils a 16-in. "mobile workstation" this year, it's like "closing the barn doors after the livestock has run off" because it's already lost too many enterprise customers.